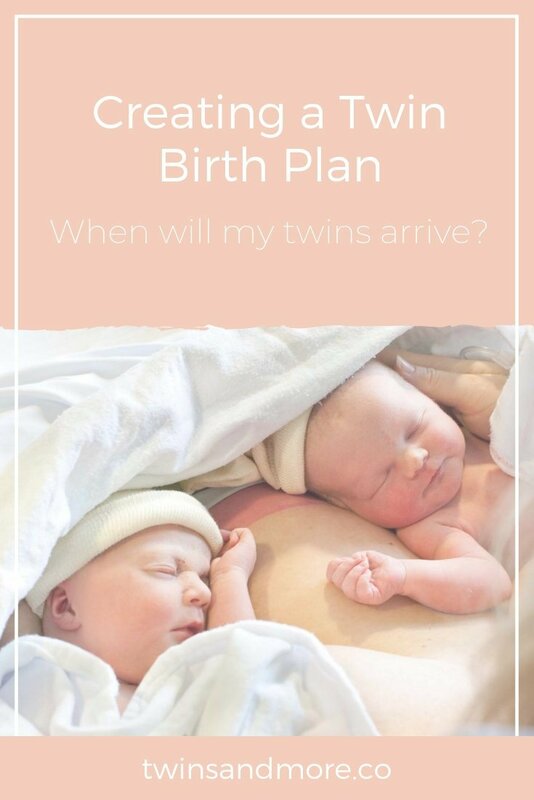 One of the most confusing times during your twin pregnancy will most probably be around planning for your big day….. your babies birth day. So much of the information available for singleton babies states: the closer you can get to the 39/40 week mark, the better it is for baby – assuming there are no issues with mummy or baby that would necessitate an early arrival. However, the same advice does not apply for twins, and here is why. 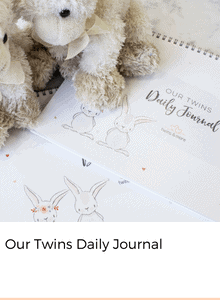 In September 2016, an international team of researchers published the results of their review of over 30 studies carried out on twin pregnancy delivery dates and the impact on the health of the babies in-utero and up to 28 days post birth. What they were trying to determine from this study was the impact that gestational age has on stillbirth vs neonatal (up to 28 days post birth) complications and whether there is an optimal time for twin babies in an uncomplicated pregnancy to be born. Not too early that the risk of complications post birth can occur, but not too late that complications happen in-utero. In a nutshell – are they safer in or out? The studies they reviewed were conducted around the world and included research from the UK, US, Australia and New Zealand. What this research team discovered when collating the data from thousands of twin births was that there appeared to be a tipping point, particularly in dichorionic pregnancies, at around 37 weeks. Babies that were born prior to 37 weeks had a higher risk of complications arising post birth, which is understandable given that they were born prematurely. However, a delay in delivery by a week (to 38 weeks) led to an additional 8.8 deaths per 1,000 due to an increase in stillbirth. Quite significant findings. One of the main issues with leaving twin babies in-utero past 38 weeks is to do with the health and function of the placenta(s). As a twin mummy-to-be, the closer you get to 38 weeks the more pressure caring for your two babies puts on your body. The placenta’s that have spent the entire pregnancy nourishing your babies can start to deteriorate and may no longer be able to keep up with fulfilling your babies needs. If you think about it, the placenta provides food, oxygen and waste removal for your babies. So, things can get pretty serious for your babies pretty quickly if they don’t have access to optimal levels of food and oxygen. The National Institute for Health and Care Excellence (NICE) provides clinical guidelines to the NHS in the UK and provides a reference point to many countries around the world about the management and care of multiple pregnancies. 35 weeks if you are carrying triplets. Having an elective birth at these times is not thought to increase the risk of health problems for your babies. You can choose not to have an elective birth at the times recommended here; however, continuing your pregnancy for longer may increase your risk of complications and you will need to be monitored very regularly to ensure your babies are kept safe. I recently contacted Michelle Wise BSc MD FRCSC MSc who is a senior lecturer at the Department of Obstetrics and Gynaecology at the University of Auckland and a Consultant Obstetrician & Gynaecologist for National Women’s Health, ADHB and asked her thoughts on the recommendations that should be provided to twin mama’s that are starting to prepare for their babies arrivals. She said “I would encourage your twin mothers who have a dichorionic pregnancy to be informed of the risks and push their midwife and obstetrician for an induction of labour at 37 weeks as it is appropriate and evidence based”. Your doctor or midwife should explain all the risks and benefits of the possible options when you have your birth plan appointment from around 29-32 weeks. It is important that you spend a bit of time before your birth plan appointment, making yourself familiar with the latest guidelines and if the advice that you are receiving from your LMC varies from these guidelines then you have a right to question them about their reasonings and/or ask for a second opinion if you do not feel comfortable with the advice they are giving you.